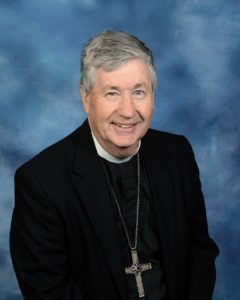 Bishop James Muney of the ELCA VA Synod. The first is to repeat my request that all of us lift up the town of Charlottesville, its people, its government and first responders, its injured from last weekend, and the families of Heather Heyer, Lt. Jay Cullen, and Trooper Berke Bates. 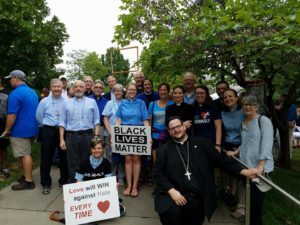 I ask that you would lift up the congregations of St. Mark and Peace along with the many houses of faith in Charlottesville. In conversations this week with pastors in Charlottesville, we pray for a healing and a strengthening by the Holy Spirit for a returning of this place of people, commerce, culture, and learning to its vibrant sense of well-being and joy. It bears reflection that the great anniversaries of the civil war have also been within our nation rises of white supremacy, particularly following the 50th, where the vast majority of our confederate statues were erected. And we recall the tens of thousands of hooded figures parading in the streets of cities across America in the 1920’s. Rather than let such anniversaries or public parades redraw lines, we should all learn from such events that our strength is in our rich resource of gifted people of all nationalities, cultures, faiths, and languages and the conviction that access to equal opportunity for all results in the strength of a united nation. I will join you in prayer this Sunday and I will be praying for your preaching, teaching, and worship of our Lord who emptied himself and came for us all.